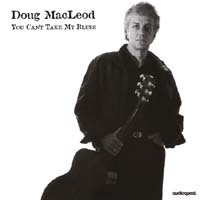 Doug MacLeod displays several sides of his artistry on this CD. His music ranges from solo folk numbers in the idiom of Leadbelly (but covering different subjects) to country blues with a trio, a few romps with the wailing harmonica of Carey Bell and two collaborations with the country fiddle of Heather Hardy. MacLeod's appealing voice is easy to understand, his lyrics are thoughtful and fresh (even when covering universal subjects) and his melodic guitar playing is versatile. MacLeod's well-conceived set should appeal to collectors of acoustic blues and folk music.